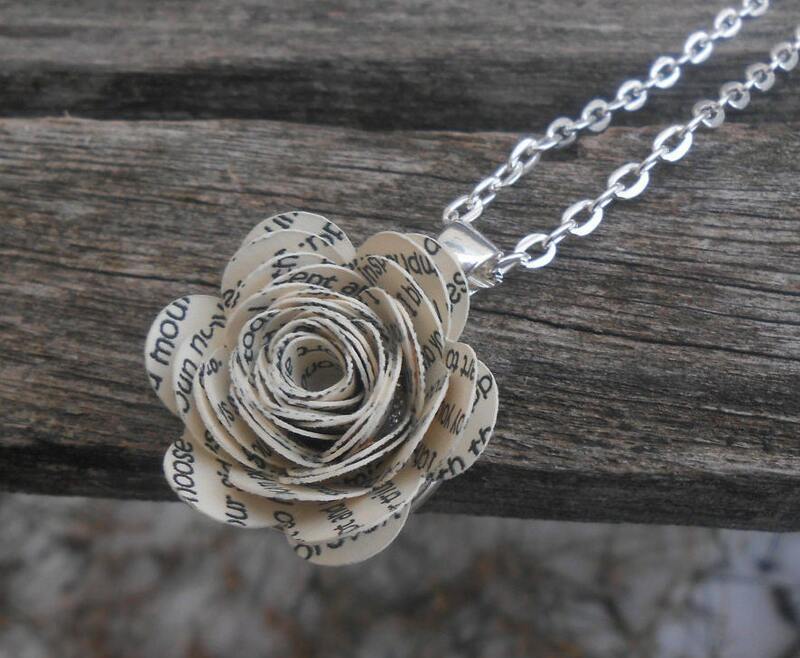 This paper flower necklace can be personalized with your wedding vows, a poem, a song, or anything else you want printed on it. And you get to pick the color cardstock you want it printed on! 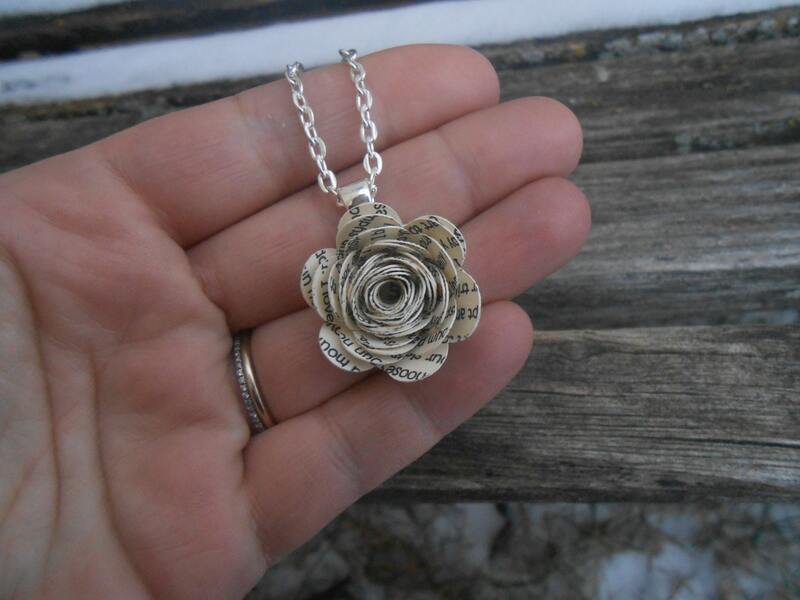 This unique necklace would be a great gift for a wedding, Mother's Day, an anniversary, Valentine's Day, Christmas, or a birthday. The flower measures about 1" across. --->Leave a note in the message box with the color paper you want. Please select lighter shades from my list. Ink cannot be see clearly on medium-dark colors. White or Ivory work best. 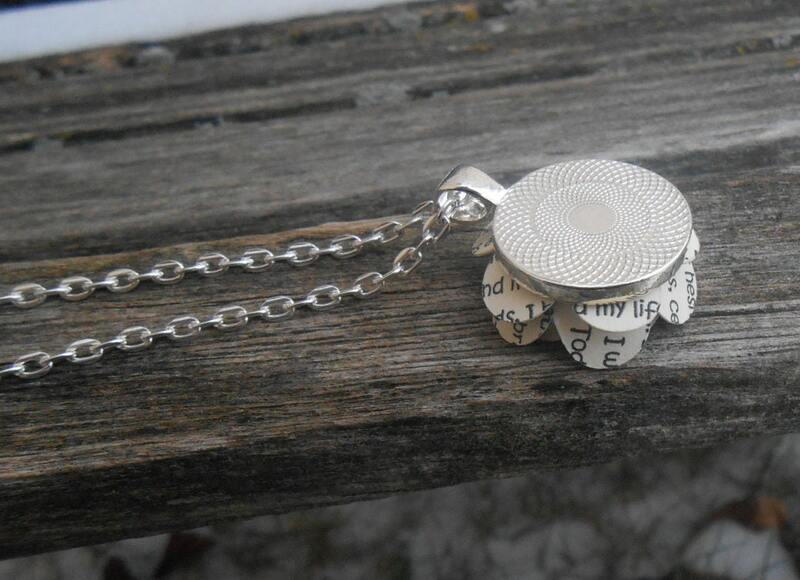 This listing is for one pendant with a necklace. 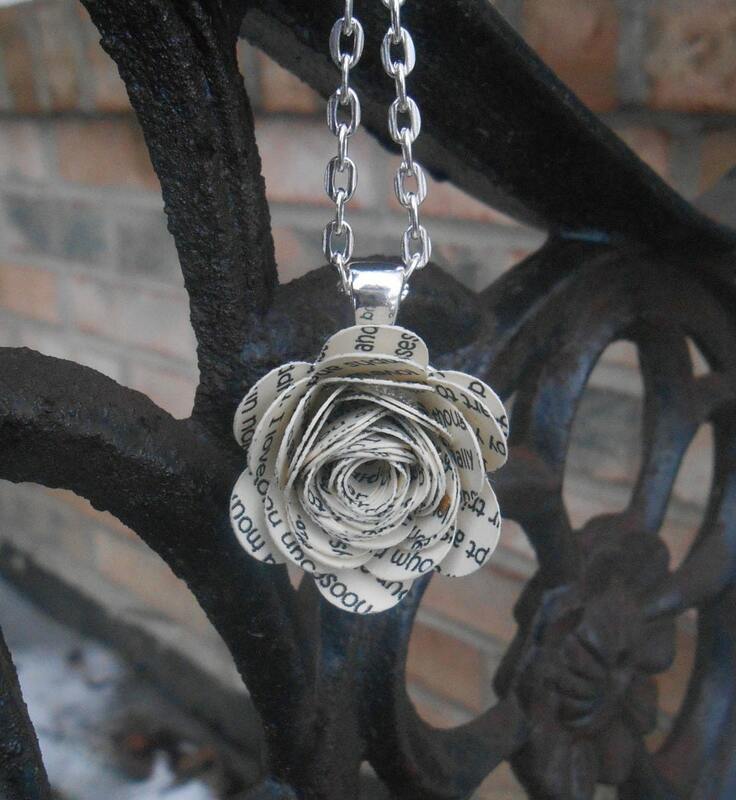 Even though it is paper, it is very sturdy and will not get crushed! The cardstock is thick, so it resists damage. 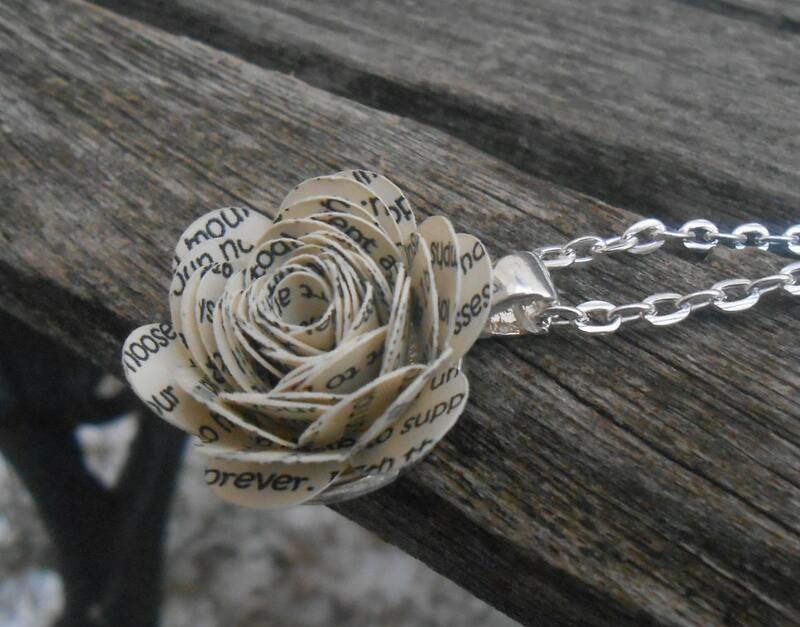 I love custom orders, so if you have something you would like me to attempt, please convo me. I'd be happy to make you what you need!